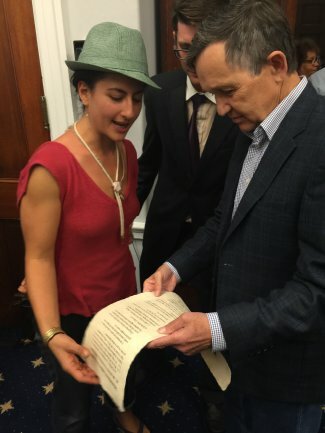 It was an honor meeting Dennis Kucinich at the closing party of the HIA conference September 2014 and showing him a test print from the batch of limited edition screen prints on handmade 100% hemp paper for Vote Hemp, which were framed and presented to supporters of hemp in Congress. 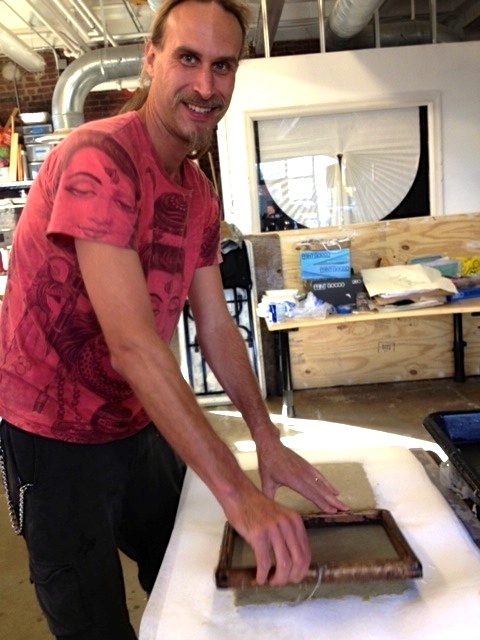 Truly an honor to have David Bronner come by the studio and make hemp paper! January 2013.